Explore imperial palaces and temples amongst the buzz of Beijing. 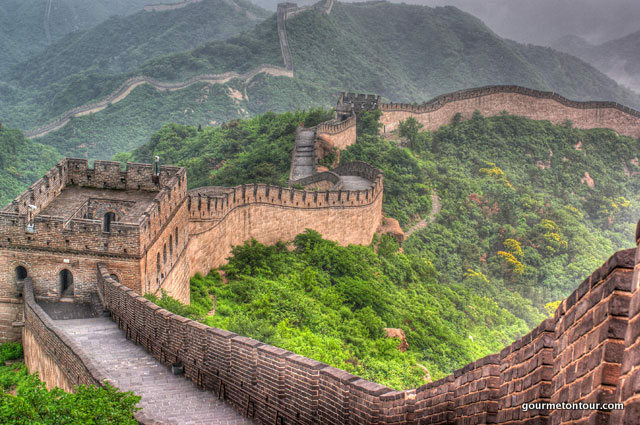 This vibrant city is perfectly contrasted by the striking Great Wall and emerald-green Dragonwell tea plantations. Stroll spice markets and cook Sichuan dishes. 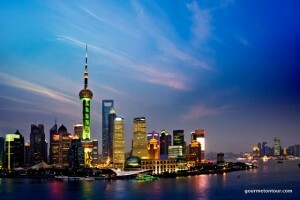 Shanghai provides more excitement as you explore the Bund and the old city. Accompany our chefs and local experts to markets and learn the secrets behind one of the world’s most delectable cuisine. If you prefer to travel at your own pace with our local guides, our private trips are for you. Our China culinary tours focus on immersion into the local culture. 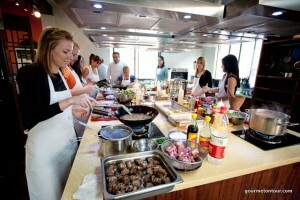 We introduce you to local experts who invite you into their culture and kitchens to participate. Min 2 guests. 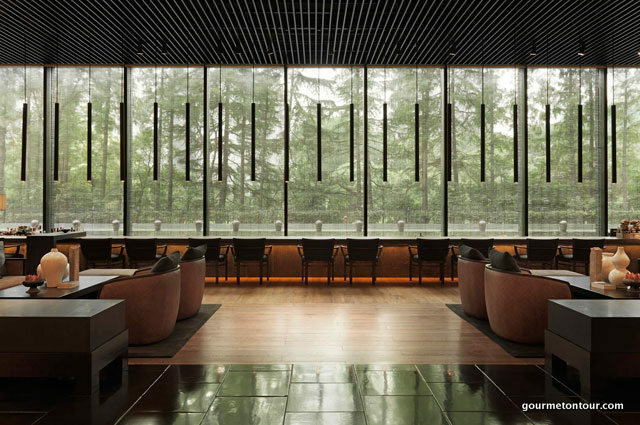 Sichuan’s capital is well known for: drinking tea and eating hot pot, such is the city’s reputation as a culinary capital that knows how to take it easy. 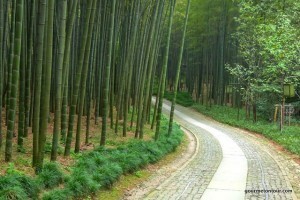 Chengdu’s cuisine is irresistible and tea drinking is a custom that took hold here 1,300 years ago and never let go. 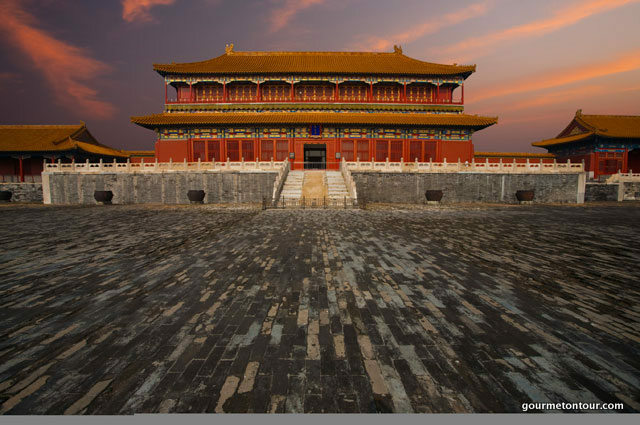 Considering the laid-back attitude, admirable green space and pockets of ‘old’ Chéngdū you’d hardly know that the city is China fifth-most populous city. People are friendly and the pace unrushed. The capital is filled with charming streets, cultural attractions, markets, fiery cuisine and an even spicier nightlife. 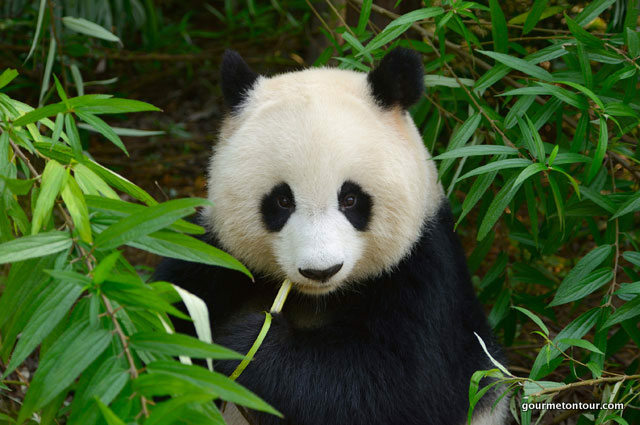 Chengdu is the gateway to scenic Jiuzhaigou, UNESCO heritage sites such as the Buddhist mountains of Emei Shan and Le Shan, and one of the most important panda breeding and conservation centres. It also serves as a great stop over for travellers exploring the western part of China and Tibet. 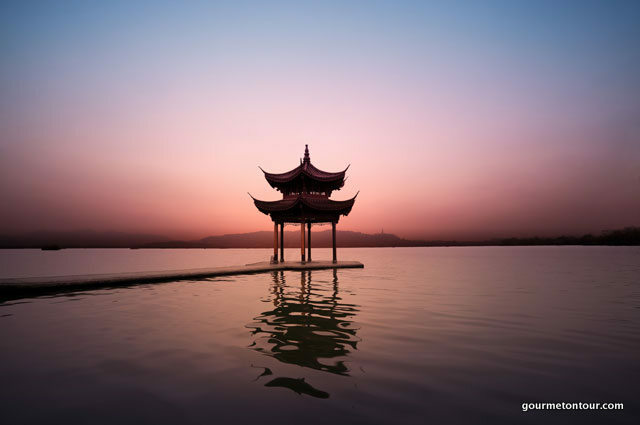 Surrounded by verdant hills, West Lake’s shores and causeways are lined with fragrant trees and lotus blossoms and its beauty is revered countrywide. 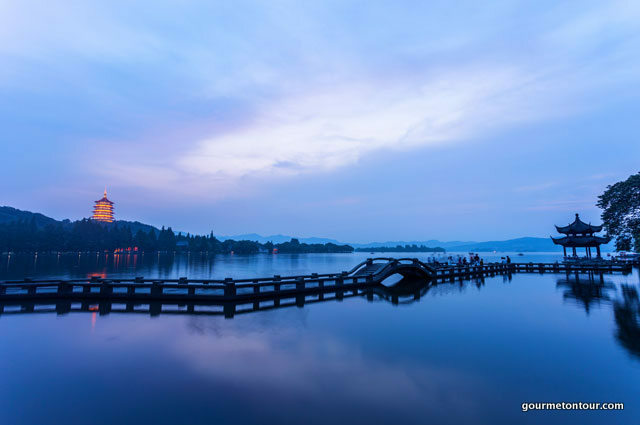 Not only famous for its picturesque landscape, West Lake is also associated with many of China’s scholars, national heroes and revolutionary martyrs hence the fact that it is one of the most visited sites by domestic travellers today. With its historic bridges, pagodas, islands and gardens, West Lake can be visited at any time of the day although it is at its most peaceful early in the morning. A number of traditional wooden row-boats are available to take guests to both well-known and lesser-known attractions. During the cooler months, a wonderful way to explore the lake shore is by bicycle. 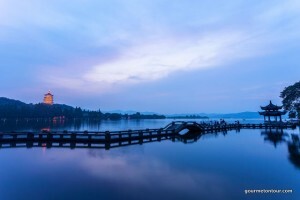 The West Lake was recently added to UNESCO’s World Heritage List. Few world cities evoke so much history, excess, glamour, mystique and exotic promise in name alone. 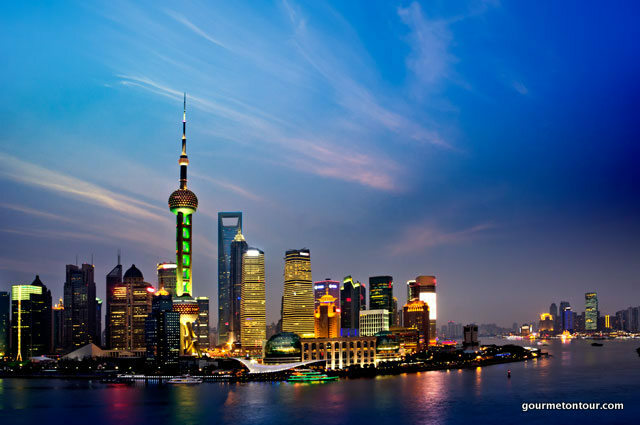 Dynamic by nature and necessity, Shanghai is proof that one of the world’s most populous cities can be liveable and loveable. Merchants and tycoons once sought their fortune here and it still has an air of opportunism and decadence. Pudong’s cloud-piercing skyscrapers and the flashy malls of Nanjing Lu show where China is swiftly headed in the 21st century. But while Shanghai’s sights are certainly fixed on the future, you’ll still find the glamour of the past along the Art Deco Bund and French Concession’s colonial boulevards. Locals greet the day with tai chi as the first rays illuminate the The Bund’s Art Deco facades and Pudong’s gleaming skyscrapers across the Huangpu River. Rise to the 101st floor of the Financial Center for morning views of the skyline. Shanghai’s green heart is Fuxing Park and People’s Square, where the cavernous Shanghai Museum showcases exquisite Chinese bronzes, ceramics and silk scroll paintings. Seek respite from the hubbub strolling the Former French Concession’s elegant avenues and sitting beside koi-filled ponds in serene Yu Yuan Garden. Sichuan cuisine is considered one of the four great Chinese cuisines. It is famed for its intense flavours, particularly the pungency and spiciness resulting from copious use of garlic and chili peppers, as well as the unique Sichuan Peppercorn. 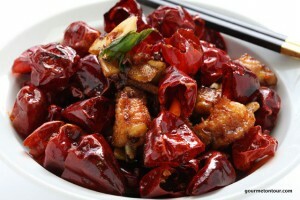 A good Sichuan meal is not all “hot and spicy” but much more sophisticated and subtle. A Sichuan banquet is well balanced and should have constant variety and excitement, from fiery to soothing, savoury to sweet and something light. 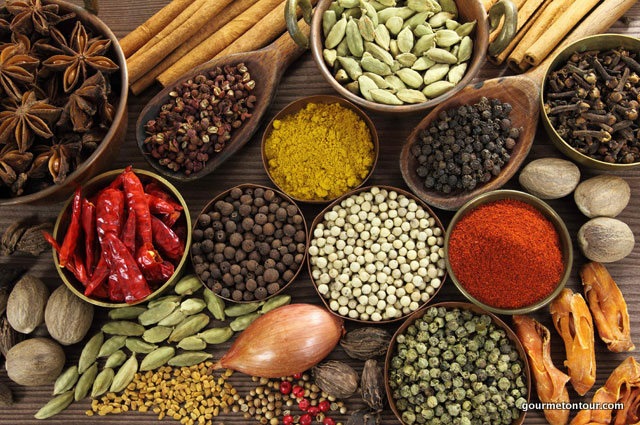 Variety is the spice of life in Sichuan province! Some of the more recognised Sichuan dishes include Sichuan Hot Pot, Spicy deep-fried chicken, Dandan noodles, Mápó dòufu (mápó tofu) to fiery dishes, such as shuizhuyu (fish in a sea of sizzling chilli oil). Zhejiang cuisine is recognized as one of the eight major schools of cuisines in China. Hangzhou food is characterized by its light flavors, enjoyable presentation and delicate cooking method, resulting in crisp, tender, light and fresh dishes. The most famous dishes include West Lake Fish in Sweet and Sour Sauce, Shelled Shrimp with Dragon Well Tea, West Lake Water Shield Soup, Dongpo Pork and Beggar’s Chicken. According to the legend, beggar’s chicken originated in the Qing Dynasty (1644–1911). 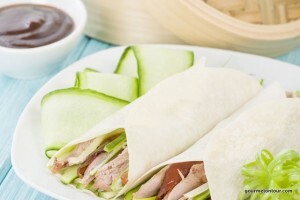 Beggar’s Chicken calls for a stuffed and marinated chicken, sealed tight with layers of lotus leaves, and then wrapped in parchment paper or wax paper along with mud. This unique cooking technique produces tender, juicy, and aromatic chicken, with the original taste of the chicken perfectly retained and trapped. The bones just fall off the chicken after hours of baking, and the meat is bursting with intense fragrance. Beggar’s chicken is a real Chinese delicacy that cannot be missed. 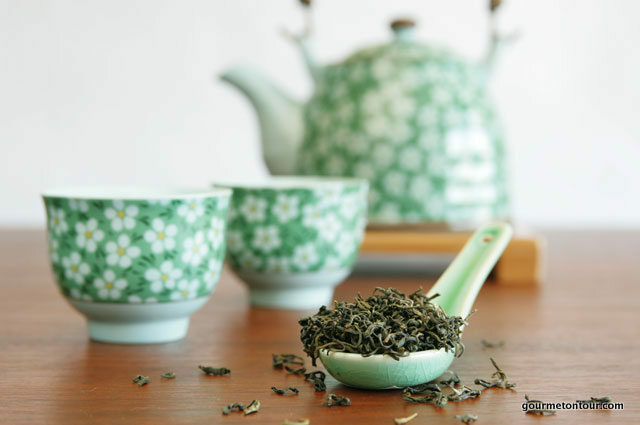 China’s most famous tea – Dragon Well – is grown just over an hour outside of Shanghai in the picturesque mountains of Hangzhou. On this tour we will introduce you to the tea farmers, hike into fields and explain how the tea is grown and processed, and visit the Dragon Well itself. We’ll also sit down at a local tea shop and learn how tea is prepared. Shanghai or Eastern Chinese cuisine boasts one of China’s best and most distinctive cuisines incorporating styles from the surrounding provinces of Jiangsu, Zhejiang, Fujian and Jiangxi. Influenced by its position just south of the Yangtze and at the mouth of the Huangpu river, the region abounds in a selection of freshwater fish and shellfish. Dishes from this area are delicately seasoned. Shanghai’s people have a ‘sweet tooth’ and have a greater use of soy sauce, sugar, rice wine and rice vinegar than other regional cuisines. 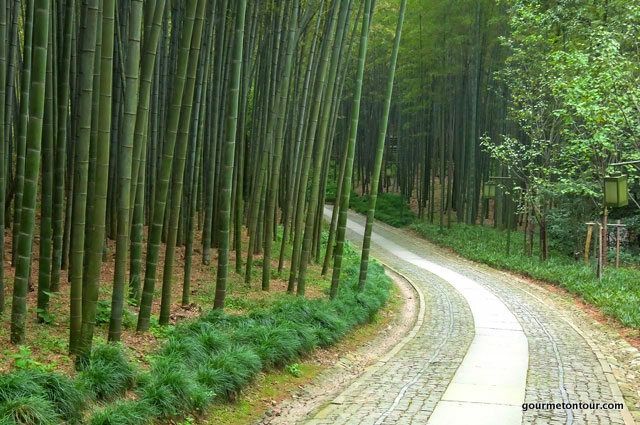 Shanghai’s neighbours also contribute to the diversity of the area’s cuisine: Hangzhou, known for its West Lake carp; Zhejiang to the west, for its famous rice vinegar; and Shaoxing, for its warmed rice wine. Shanghai, as China ‘s largest and wealthiest city, takes its food very seriously. 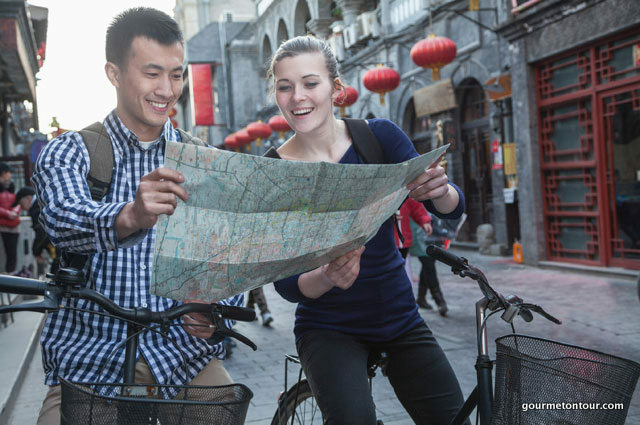 Whether it is Peking duck, xiao long bao, hot pot, or the wet markets, our guides will take you through the maze of China ‘s diverse and exotic cuisines. Our culinary experiences are tailored to your taste buds, but can include taking in the local markets, learning to make (and eat!) 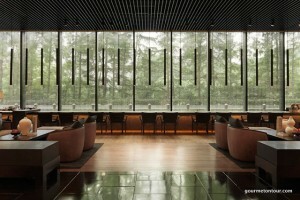 regional specialties right up to experiencing first-hand the kitchens of a leading Shanghainese restaurants. Experience Chinese cuisine at any level: purchasing, preparing, or philosophizing! Meet our food gurus whose knowledge of food shops and restaurants will make you feel like a local. When the sun goes down, the woks fire up along the streets of Shanghai’s night markets. See for yourself why no one can resist the temptations of the city’s diverse after dark delicacies. On this tour, we’ll head to two of the city’s liveliest night markets. At our first stop, we’ll sample Shanghai’s famous crayfish and spiced vegetable & meat kebabs, then walk to our next market where we’ll dig into bowls of fried rice noodles, sauteed-to-order veggies and specialty hand-pulled noodles from China’s Muslim minorities. For more than 2,000 years, Chinese chefs and home cooks have been perfecting dumplings in all their delicious bite-sized forms. Carried abroad by Silk Road travellers over the centuries, dumplings are popular around the world, but nothing tops the original! From streetside stalls frying up potstickers to a family-owned boiled dumpling spot from China’s frigid northeast, we’ll taste the best dumplings Shanghai has to offer, including the city’s famous xiaolongbao (soup dumplings) while ducking into a wet market. 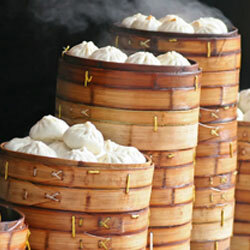 You’ll also get to try your hand at making your own shengjianbao, Shanghai’s famous pan-fried buns. Wake up with the city to taste the Chinese breakfast of champions with our street food tour. We’ll mingle with water calligraphers and tai chi masters, taste Chinese breakfast dishes made right in front of your eyes at local street stalls and learn the true meaning of fresh at a wet market. On this tour you will sample freshly-pulled noodles, fried dumplings straight out of the wok, Shanghai’s famous xiaolongbao (soup dumplings), savoury breakfast pancakes and much more. It’s also vegetarian- and kid-friendly. Come hungry! 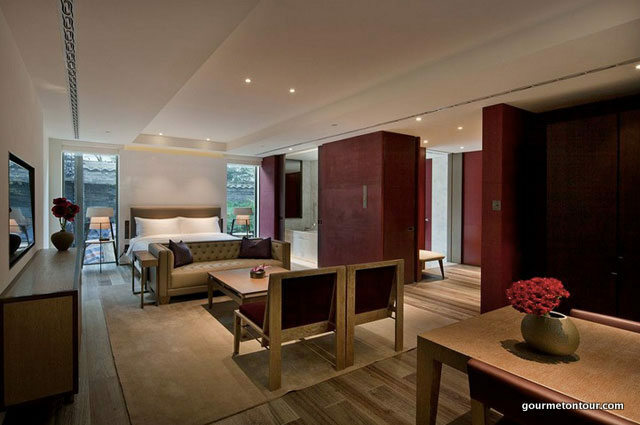 From 5* Peninsula Hotel to contemporary Asian boutique hotels, choose between our suggested partner hotels, depending on your budget and preference. 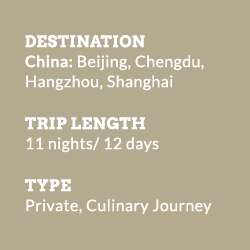 Our suggested itinerary is based on 11 nights/ 12 days and can be entirely tailor-made according to your preferences. From US$ 3,980 pp depending on season and hotel category. 11 nights accommodation, local transfers, meals as specified, listed excursions, entrance fees, hands-on cooking courses, food tasting tours, private sight seeing tours, bilingual expert guide. Fly into Beijing and out of Shanghai.